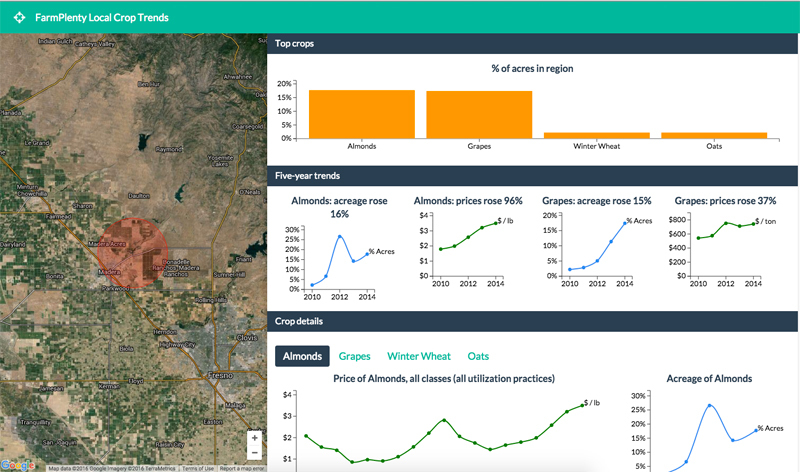 FarmPlenty helps farmers better analyze U.S. Department of Agriculture (USDA) open data on crops grown within a five mile radius of their farms. Inspired by his conversations with farmers on the challenges faced in predicting crop yields and consumer demand, founder George Lee built his application as part of the USDA-Microsoft Innovation Challenge. His Grand Prize-awarded application is supported by the USDA’s National Agricultural Statistics Service (NASS) CropScape and Quickstats APIs.